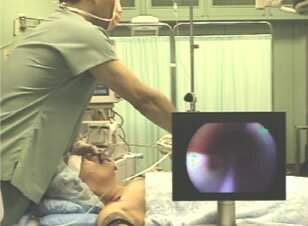 Because the stylet is inserted in the endotracheal tube, intubation is possible as long as there is space for the tube to pass. 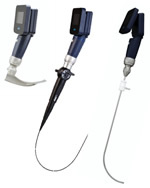 Having the same shape as a traditional laryngoscope, no additional practice is required. 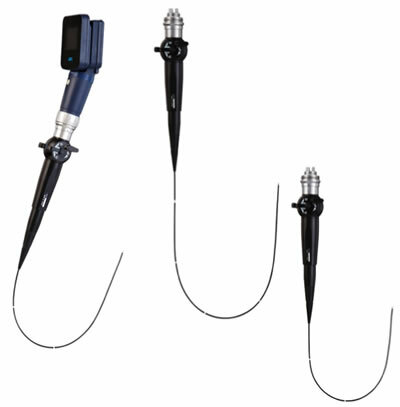 When direct vision of the larynx is difficult , the lens in the blade provides clear visualization. 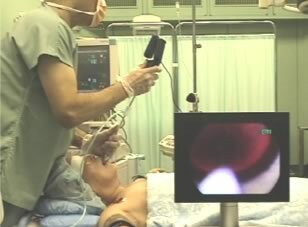 Like a standard laryngoscope, intubation by direct visualization can be done, allowing the instructor to watch the monitor screen and provide direction during training. Apply an anti-fog agent to the tip of the scope. 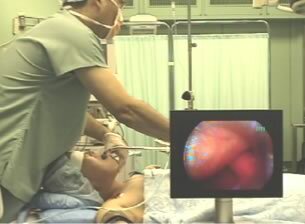 Suction oropharyngeal secretions prior to the procedure. 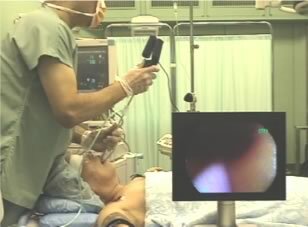 Check the monitor and continue to observe the monitor throughout the procedure. Lift the jaw as much as possible, preferably by an assistant. Start by holding the scope horizontally. Open the mouth slightly and lift the jaw. 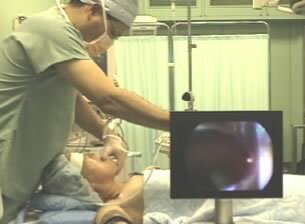 Hold the handle of the scope horizontally. 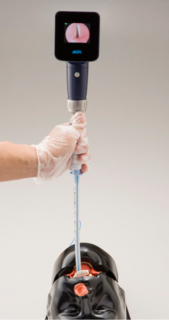 Glide the scope forward while looking over the surface of the tongue. Continue to move the scope forward. slowly pull up the handle and move the scope along the curvature. 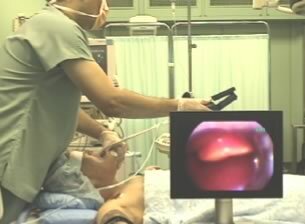 The epiglottis is in a shallow position and comes into view rather abruptly. 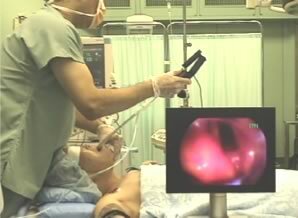 Climb over the epiglottis and identify the arytenoid. Confirm the position of the vocal cords and move forward into the glottis opening. Confirm tip of the ET tube has completely passed the glottis. 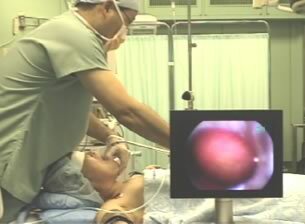 Hold the scope in place steadily, and then slide the ET tube down. 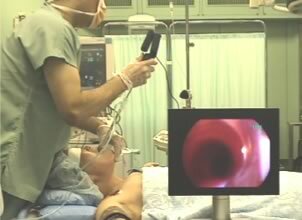 Slide the ET tube into the trachea,up to the marker that indicates it is above the cuff. while holding the ET tube firmly. 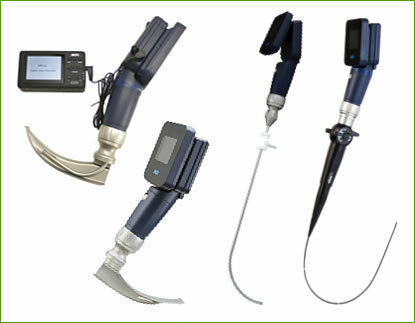 The MultiViewScope is a video laryngoscope system featuring a handle with integrated monitor and internal CCD camera, laryngoscope blade, stylet and flexible fiberscope attachments.